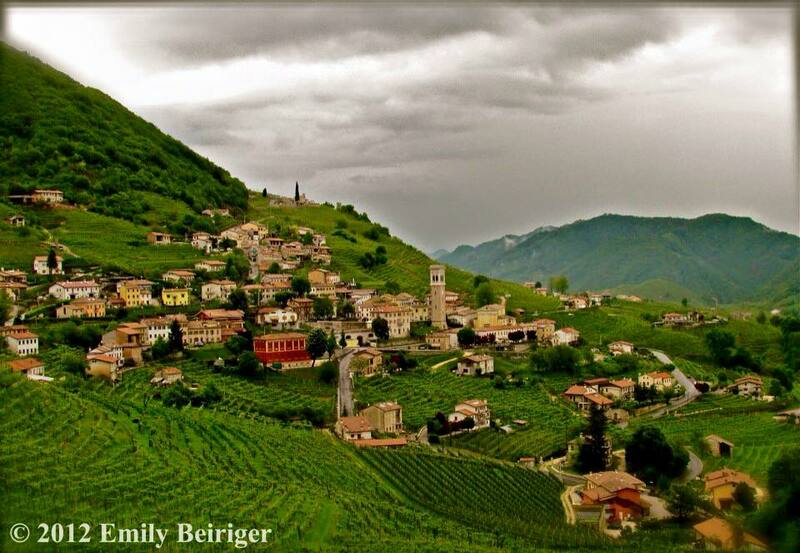 I’ve recently entered one of my favorite photos that I took in 2012 of Valdobbiadine into a contest. A company called quadro citta organized the contest and are looking for the best photo that represents Valdobbiadine in Treviso, Veneto, Italy. In order to win, you simply need to have the most likes on your photo. So, I am asking if you guys would please help me out and VOTE and also share!!! I think I am most definetly the under dog in this competition. If you could kindly click on this link and “like” my photo, I would greatly appreciate it. Valdobbiadine is where the worlds best sparkling white wine comes from!! Prosecco!! This is the photo that I’ve entered into the contest. I took this photo while sipping on a glass of Prosecco. What a view, huh? !